GAME SYSTEM adds an online reservation module that allows your customers to make party reservations from the comfort of their home. 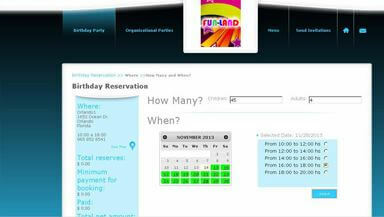 The Online Reservation Solution is synchronized with your website, this way your customers can book events in real time. Add an innovative tool to your business. With our Mobile App your customers will be able to charge money into their cards, check their card balance and take advantage of special deals and promotions.